White sandy beaches, a turquoise-blue sea and the mysterious smell of the spice plantations in the air – all this is Zanzibar, the magic Spice Island off the east coast of Africa, and the most attractive places for zanzibar holidays lovers. Already half a century ago, the archipelago in the Indian Ocean was a flourishing commercial centre. Cinnamon, pepper, ginger and other spices lured traders and adventurers from all over the world here into the seaport of Zanzibar. Still today the splendid architecture of ‘Stone Town’, the historical Old Town of Zanzibar City, tells about this magnificent past. Heavenly beaches, an untouched nature and a unique cultural variety make Zanzibar nowadays a still undiscovered holiday paradise. Fresh fruits, dreamlike climate and a landscape which offers everything from palm beaches up to rain forests spoil every island visitor. The culture of the island is just as multifaceted as the landscape. A coloured mixture of different religions and people combines different traditions to a cultural arrangement which is marked, above all, by cosmopolitanism. If then, at sunset, the sun disappears behind the coral benches of the island, Zanzibar delivers the last reason why this island can probably be called ‘paradise’ for zanzibar holidays travelers. Nowadays, Zanzibar appears to be a bazaar of cultures to zanzibar holidays tourists. To lift this secret, you have to look into the island’s history. The natives of Zanzibar were Africans. However, already in the 8th century Arabian and Persian traders landed at the coast of the East African island. They also brought the Islamic religion, which is still predominant up to today, into the country and did lively trade with India. In 1503 Zanzibar was conquered by the Portuguese, who established an important trading post on the island after that. Nevertheless, in the 17th century, the Portuguese were expelled from the island by the sultan of Oman. Zanzibar climbed up to a flourishing commercial centre for spices, ivory and, above all, slaves. During the colonisation of Africa, Zanzibar became an English protectorate in 1890. Then, in 1897 the slave trade was forbidden by the Britons. In 1963 Zanzibar finally gained its independence and from now on is no longer subordinate of any colonial rule. In 1964 Tanganyika and Zanzibar united to the Republic of Tanzania. In the process, Zanzibar kept an autonomous status. In 1995 the first free multi-party elections took place. On Zanzibar one experiences a coloured national mixture of Africans, Indians, Persians and Arabs. More than 90 percent of the population belong to Islam. This combination creates a cultural variety which even so disposes of a common intersection: the religion. Especially the architecture of the historical Old Town ‘Stone Town’ still reflects till this day the synthesis of Arabian, Indian and African influences. It is multicultural, just like the inhabitants. Mosques, churches and Hindu temples, African markets, colonial constructions and sultan’s palaces, all this is a mark of the Zanzibari culture. In narrow lanes splendid houses with big, artfully carved wooden doors line up themselves. Stone Town was declared a World Cultural Heritage by UNESCO in 2000. The Zanzibari are hospitable, open-minded and warm-hearted. The art and music scene of the island also profits from this cosmopolitanism. Different music, cultural and film festivals regularly take place on Zanzibar. “Sauti Za Busara Swahili Music and Cultural Festival” presents East African music amidst the street labyrinth of Stone Town. Traditional dances and art can be admired till the small hours. These are the most attractive cultures of Zanzibar that attract the tourists that come to spend their zanzibar holidays. Zanzibar is an archipelago consisting of the main island Zanzibar, its sister island Pemba in the north and several smaller islets. 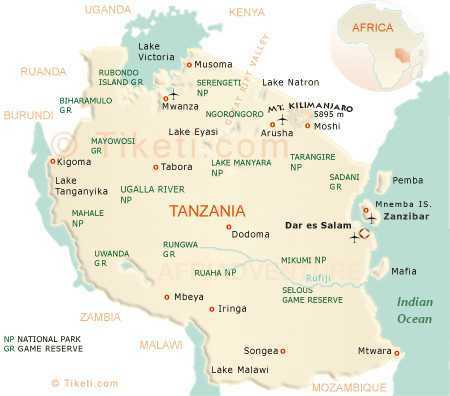 It is an autonomous part of the United Republic of Tanzania. 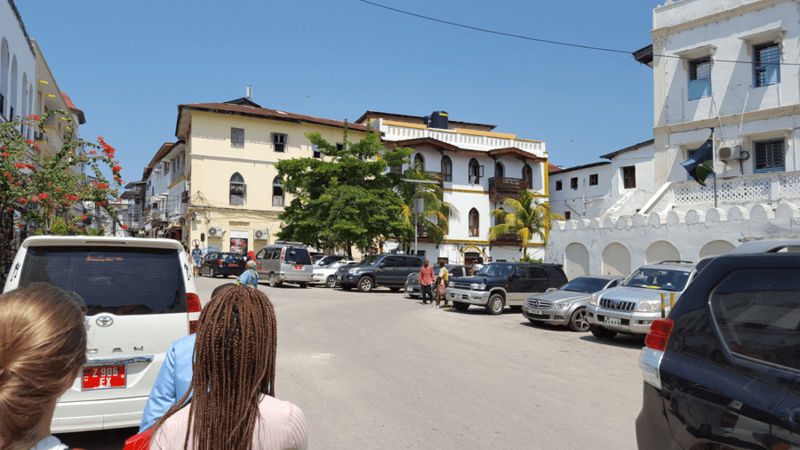 The main island, which in Swahili is called Unguja, reaches from the village Nungwi in the north to Stone Town, the world famous Old Town of Zanzibar City. The area of Unguja is about 1658 square km. 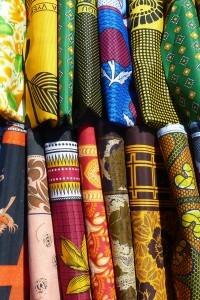 Besides Stone Town, the island is known for its cultural and biological diversity. On the east-coast you can find beautiful white sandy beaches and offshore coral reefs. Tourism is an important economic sector of the island. Pemba, the Green Island, has an area of 984 square km. It is largely untouched and always green because infrastructure and tourism are barely nonexistent. Therefore, Pemba is very popular with divers. There is a ferry service from the island’s capital Chake Chake to Zanzibar and a small number of local flights. Some islets like Chumbe and Chapwani provide comfortable accommodation for the visitors who come to enjoy their zanzibar holidays. Other islets like Prison Island or Snake Island are only advisable for day trips. Provinces Once arrived on Zanzibar there is no way past Stone Town, the historical centre of Zanzibar City and the heart of the island. 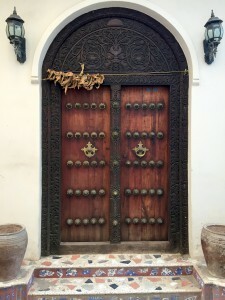 Because there were no changes over the last 100 years, you feel like time travelling while walking through Stone Town. Traders, colonial masters and pirates left their marks in the colourful streets of the old town, which was appointed to UNESCO World Heritage in 1994. The House of Wonders, which is located at the harbour of the city, was the first building on the island to have electric lights. From the House of Wonders you can look at Prison Island, a former prison and quarantine station, only a few miles off the coast in front of Stone Town. 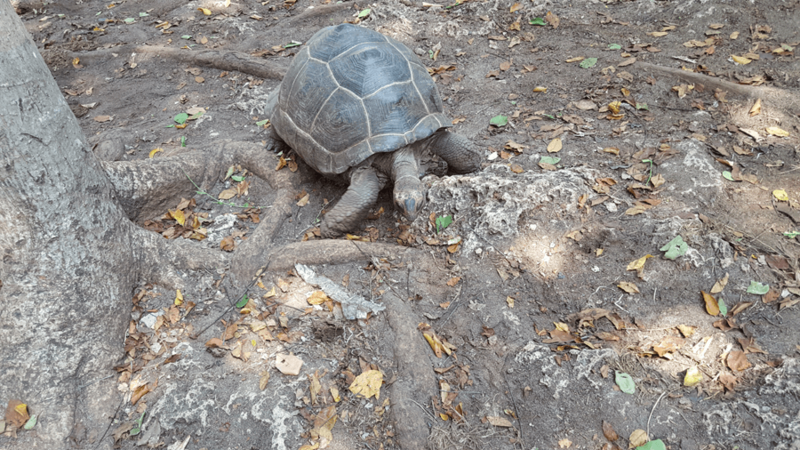 Today it is a popular tourist attraction for zanzibar holidays lovers and a home for giant turtles. During a visit to Zanzibar, the Spice Island, it is strongly recommended to join one of the famous Spice Tours. Over 50 different spices can be seen and tasted on the plantations close to Stone Town. Only a few steps besides the beautiful beaches of Zanzibar you can find a place you would not expect: a rambling landscape out of big limestone caves. A magic place – not only for the natives. Zanzibar, the magical island in the Indian Ocean, disposes a multifaceted landscape including several national parks. The most famous and largest is the ‘Jozani Forest’ which is the home territory for a variety of animals. Especially, the Red Colobus Monkey is worth mentioning. This species can only be found in Zanzibar and was endangered for a long time. There are guided tours for zanzibar holidays tourists through the the Jozani National Park. Besides this, there is the ‘Ngezi Nature Reserve’ on Pemba, the smaller main island of the Zanzibar Archipelago. The Ngezi Forest contains a rich biodiversity and is particularly popular among nature tourists. South-western of Pemba the islet of Misali is situated. It is also called ‘Jewel of Pemba’. By visiting Misali you can watch giant sea turtles nesting at the sandy beaches of the Marine National Park. The ‘Chumbe Island Marine Reserve’ impresses with its unexplored beach and the surrounding coral reefs. The island is privately owned and therefore well protected from external influences. Even so tourist can visit the island. 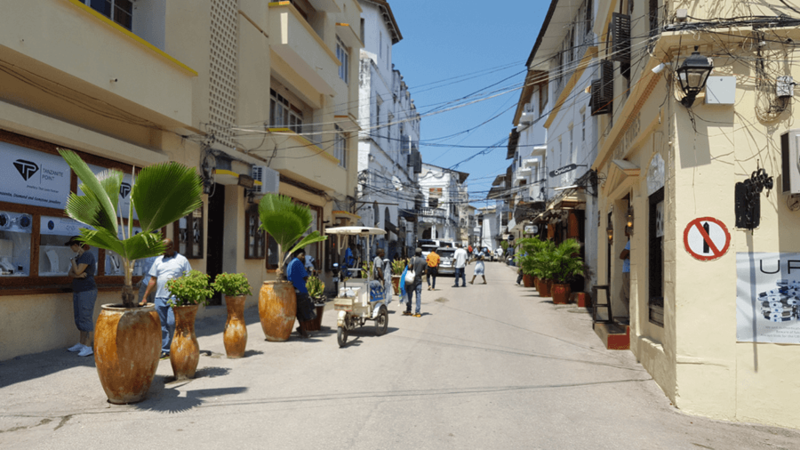 The capital Zanzibar City, which is located at the west coast of the island, is the political, economic and cultural centre of the Zanzibar archipelago. The current population is about 205.870. Because of its centricity in the Indian Ocean, Zanzibar City is a seaport with a glorious history. You can find a carnival atmosphere in the streets of the capital among bazaars and mosques. The main attraction is the historical centre Stone Town, which was appointed from the UNESCO as a World Cultural Heritage. 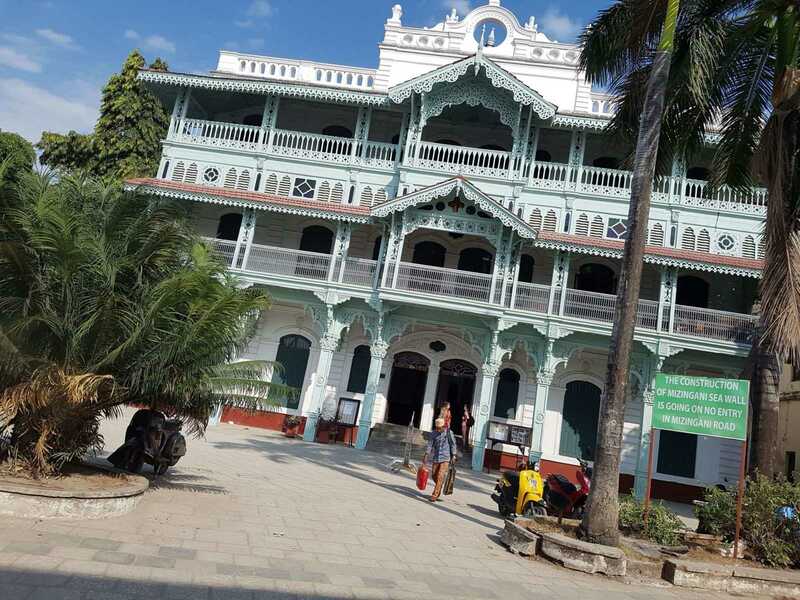 Stone Town’s amazing buildings were made out of corals in the 19th century. The Arabic, Indian and European influences created a unique style of architecture. Besides Zanzibar City there is only Chake Chake, the unofficial Capital of the Island Pemba, which can be named as the next bigger city. The total population is about 22.000. Chake Chake is the administrative centre of the island which disposes a seaport. It is the heart of the Island, so travelers come to celebrate their zanzibar holidays vacation there. Apart from that, the countryside of Zanzibar is mainly minted by small villages. The African island, Zanzibar, has its own peculiar charm: a tropical ocean and white sandy beaches as far as the eye can see. It is surrounded by a barrier reef which provides a unique underwater experience for divers. Colourful shoals of fish, dolphins and small reef sharks can be seen in the waters of Zanzibar. On shore, mangrove forests are characteristic. This jungle-like rain forest with tall coconut trees reaches from Masingini Ridge, which is the highest point on the island, over the extensive hilly landscape of the island almost to the beachfront. This is typical for coral islands. In the interior of the island you can find numerous running waters, a very fertile ground and ideal climatic conditions for agricultural cultivation. All these soothe the eyes of toursits who comes to embrace zanzibar holidays. A variety of spices like cinnamon, pepper, ginger, vanilla or cloves can be cultivated. 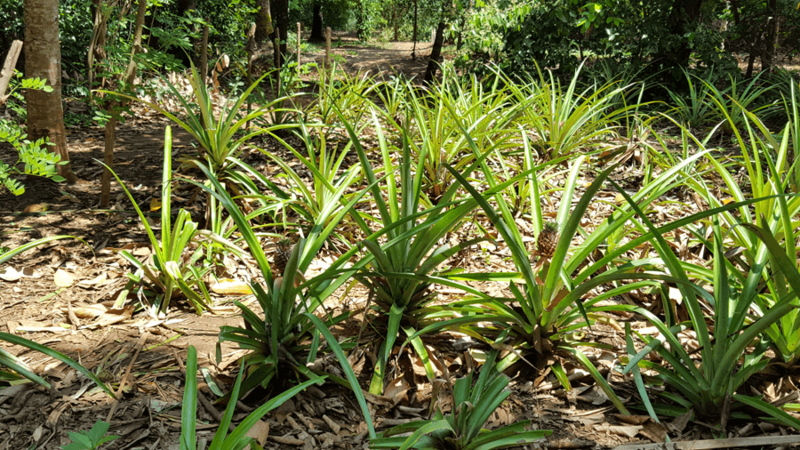 Because of its large number of spice plantations, Zanzibar already got the byname ‘Spice Island’. 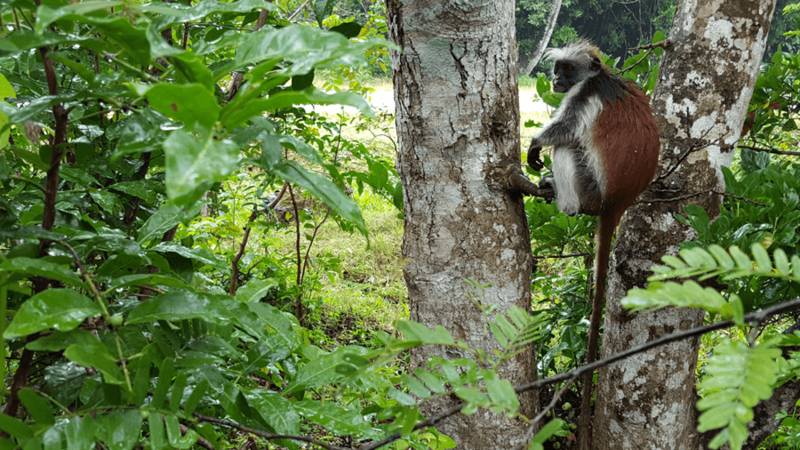 Furthermore, Zanzibar is a region of rich fauna with species which cannot be found elsewhere in the world, like the Red Colobus Monkey. 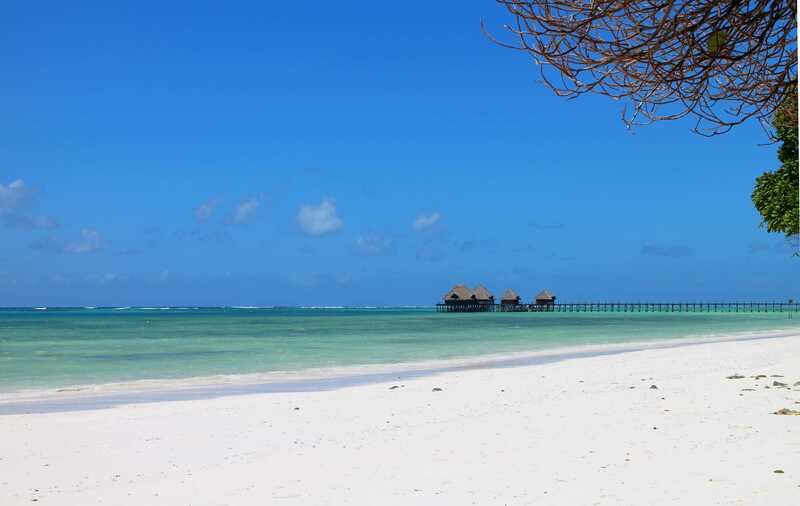 Zanzibar captivates by a huge number of leisure offers for zanzibar holidays tourists. Especially the sea offers all sorts of leisure activities, like windsurfing, snorkelling or kayak tours. Of course, you can also just relax on the dreamlike beaches of the island. Zanzibar is much affected by divers because it boasts of some of the most attractive underwater worlds of the East African coast. Scattered ship wrecks can be marvelled among colourful coral benches at pleasant water temperatures. Sea-angling by international standards is also offered by the local fishermen. On shore different day tours, which travel through spice plantations, the antique street labyrinth of Stone Town and the natural landscape of the Jozani Forest, are offered. On Pemba one can watch the traditional bullfight. Unlike the Spanish bullfight the bulls are not killed during this tradition introduced by the Portuguese colonial rulers. At sunset, the discotheques and bars of the island open their doors and the local Taarab music sounds. The nightlife is rather moderated but even so has its own charm. Zanzibar is also famous for the so-called ‘moonlight parties’, to which the guests are brought to secret places in especially hired motorboats at full moon. Zanzibar is famous for its spices which wrap the whole island in a delicious smell. Cinnamon, cloves, pepper, vanilla and many other spices grow on the spice plantations of the island and enrich the Zanzibari cuisine. The Zanzibari food is exotic and spicy flavoured. The coconut is used for almost every dish. The basic food consists of rice (pilau), corn and manioc which are often boiled to a mash and served with a vegetable sauce and round, flat, unleavened bread (chapatis). Moreover spicy meat stews highly seasoned with chilli are very popular with the Zanzibaris. In the midst of the Indian Ocean, fish and seafood of course have a major importance. At best, one orders his fish directly fresh from the grill. Alternatively one can also choose a delightful curry in one of the many Indian restaurants on the island. Then as dessert, one gets spoiled with fresh fruits like mango, papaya or pineapple. In addition, these fruits are processed to tasty fruit juices and milk shakes. Besides that, hot coffee and chai tea are drunk with pleasure. But also alcohol, like beer, wine or palm schnapps (mnazi) is served. Zanzibar caters for all tastes for zanzibar holidays travelers. 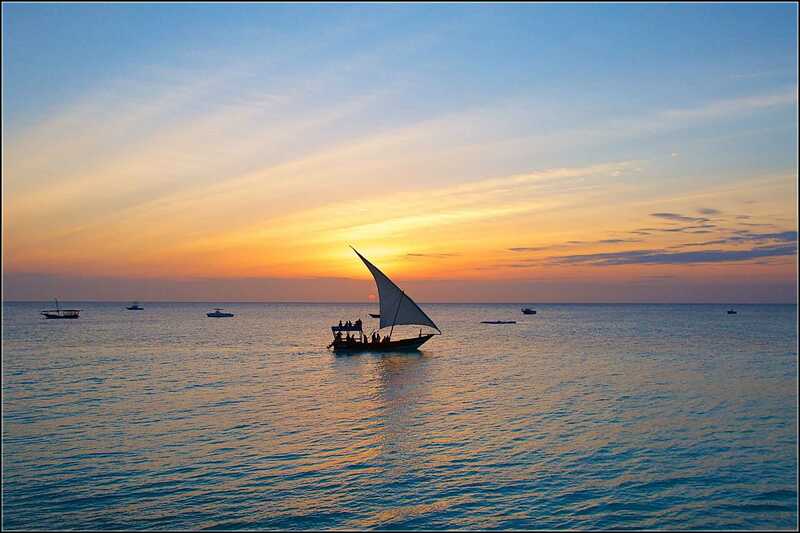 Zanzibar, immediately situated to the south of the equator, is ruled by a tropical warm climate. The annual average temperature amounts 26.5°C. It is especially warm from December to March and the hottest month is February. At that time the thermometer rises temporarily up to 39°C. This warm period is removed by the first rainy season (masika) which continues from March till the end of May and is marked by strong rainfall. The average precipitation in this time amounts to 249 mms. During the second rainy season (vuli) from November to December, some drifting clouds move sporadically over the island. Moderate downpours are possible. The ideal holiday season for zanzibar holidays tourists lies between these two rainy seasons from July to October. Then, a fresh sea breeze blows over the island and provides for pleasant temperatures about 25°C. 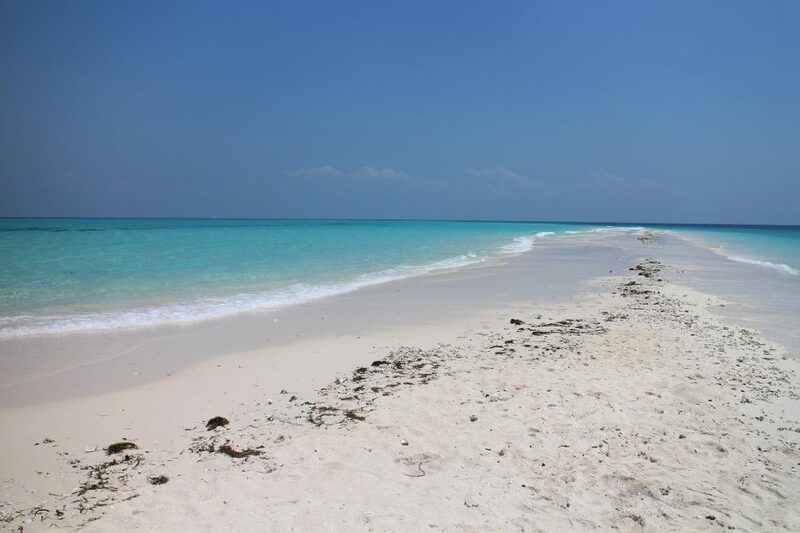 The average water temperature at the beaches of Zanzibar amounts to 27°C. A visa is required for entering into Zanzibar. 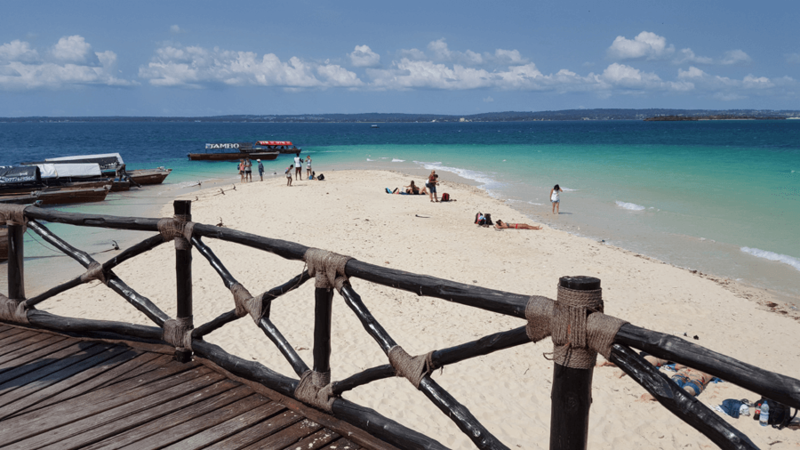 Zanzibar holidays visitors can obtain visas at the Tanzanian embassy or directly at the international air and seaports of Tanzania for a charge of approx. 50 euros. A valid passport is also required. It is recommended to carry enough cash. Euros may only be exchanged at some hotels and in the big cities. Regarding to the fact that the inhabitants of Zanzibar are relatively poor you should be careful with exhibiting valuables. Furthermore it is important to avoid dark and gloomy places for ones own security. In respect of health it is advisable to vaccinate against yellow fever and malaria. Because of the infectiousness the prophylaxis of mosquito bites is very important. The mains water of Zanzibar is not for drinking. Sun lotion and, in the rainy season, waterproof clothing are absolutely essential. Zanzibar is an Islamic country. So, for example the choice of clothes should not be too provocative and tourists are advised to respect the local habits. Zanzibar disposes of an international airport which can be approached. Most international flights to Zanzibar go through one of the big and nearby airports like Dar es Salaam, Nairobi or Mombasa. So, on the one hand Aer Lingus, Air France, Alitalia, Blue Air, British Airways, Cityjet, Condor, easyJet, Emirates, Ethiopian Airlines, Five Forty Aviation, FlyBE, Germanwings, Lufthansa, Meridiana, Norwegian, Oman Air, Precision Air, RyanAir, Wizz Air, Swiss Airlines etc. offer international flights via Dar es Salaam. On the other hand KLM, Kenya Airways, Condor etc. fly from Europe via Nairobi to Zanzibar. Then, from the big-city metropolises the journey to Zanzibar continues by an airplane of the local Airlines . These flights fulfil all international standards for zanzibar holidays tourists. Alternatively one can travel by ferry from the metropolises to Zanzibar. 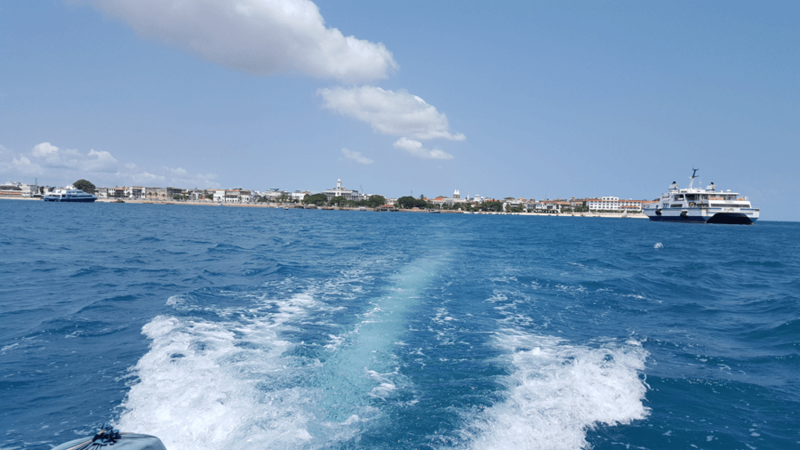 Between Dar es Salaam and Zanzibar, ferries and hydrofoils run daily in both directions. The biggest ferry company for this route is the ‘Azam Marine’. Moreover, catamarans and speed boats can be rented for the crossing. Basically, visitors of the island need a valid passport and a visa when entering.